Roll-on / roll-off Skips | Kemp Waste Management Ltd.
Roll-on roll-off skips are ideal for reducing transport costs by bulking together large quantities of waste. We can provide the largest Roll-on Roll-off skips on the market and we have a fleet of lorries ready to move them. We have just about every size of roll-on roll-off skips availble which can accommodate numerous types of waste and recyclable materials. We can also offer a wait and load service for those jobs with no room availble to store a skip. Whether it be a one off job or a long term contract we have the capability to match your requirments. 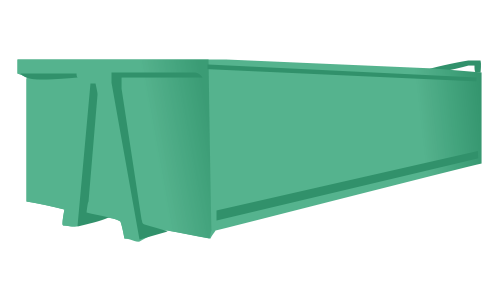 If you are requiring a roll-on roll-off skip for a paticular waste stream and it is not listed above, please dont hesitate to contact us on the above details.